Choptank Communications’ client EYA was recognized by the editors of Builder Magazine for innovative practices and commitment to environmentally friendly construction. EYA received the 2016 the William S. Marvin Hall of Fame Award for Design Excellence in September. 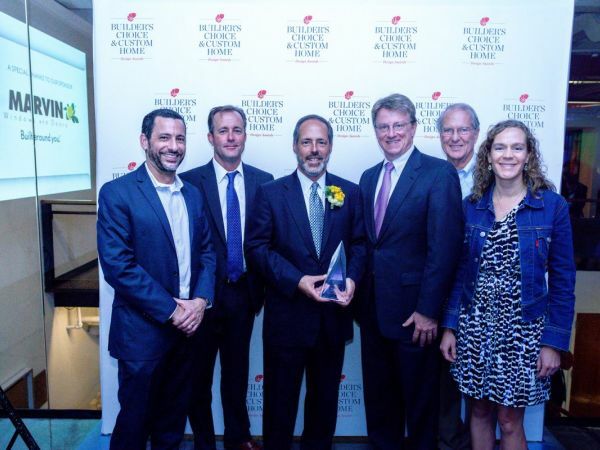 EYA, a developer of more than 40 sustainable neighborhoods close to existing transportation, employment, and entertainment centers in the Washington, D.C. metropolitan area, is this year’s home builder recipient of the 2016 Wm. S. Marvin Hall of Fame Award for Design Excellence by the editors of Builder Magazine. The annual award is presented exclusively to one U.S. developer and two architectural firms who have made significant contributions to the nation’s residential housing industry. In a quarter-century as a leading residential developer and builder in the nation’s capital, EYA co-founder Robert Youngentob has been at the forefront of many housing trends. He’s seen the company’s core market evolve from yuppies and DINKs to hipsters and millennials, and he’s watched walkable urban housing—a mainstay of EYA projects—migrate to the suburbs. But no matter the decade, architectural excellence has always been in style for Youngentob and EYA. Read Builder Magazine’s article on EYA and this year’s other two honorees here.